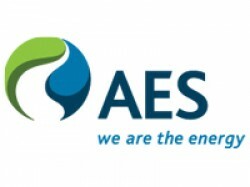 The AES Corporation (NYSE: AES) is a Fortune 200 global power company. We provide affordable, sustainable energy to 18 countries through our diverse portfolio of distribution businesses as well as thermal and renewable generation facilities. We are dedicated to improving the lives of our customers by leveraging our energy solutions that encompass a broad range of technologies and fuel types, including coal, diesel, gas, oil, pet coke and renewables. Our people share a passion to help meet the world’s current and increasing energy needs, while providing communities and countries the opportunity for economic growth due to the availability of reliable, affordable electric power.